SabrEx™ for Wheat and Cereal with iGET™ Technology is easy to use while delivering impressive and profitable yield responses. It creates bigger root systems and increases tillering. Available in three formulations. SabrEx™ for Wheat and Cereals is a seed treatment leading the transition to the future in farming. Specifically formulated to treat wheat seeds, rye, barley, sorghum, oats, spelt, and triticale. Maximize crop production with the benefits of iGET™ Technology. SabrEx™ for Wheat and Cereals is a formulation of two (2) specific and carefully selected patent pending, proprietary strains of Trichoderma. The Trichoderma colonizes with the plants’ root system and develops a symbiotic relationship with the plant, feeding off the starches and sugars produced by the plant. In turn, the plant benefits from the Trichoderma as they exude enzymes and proteins for the plants use. Because the Trichoderma, fungi, found in SabrEx™ for Wheat and Cereals work symbiotically with the plant to efficiently utilize moisture and nutrients, the treated crop is able to maintain healthy growth during periods of drought. The first thing farmers point out when harvesting wheat treated with SabrEx™ for Wheat and Cereal is the difference in root mass and fine hairs in comparison to untreated wheat of the same variety. The Trichoderma colonizes in the root system, maximizing the utilization of nutrients. The enzymes and proteins exuded by the Trichoderma result in a larger root system. The number one benefit of harvesting winter wheat treated with SabrEx™ for Wheat and Cereal is the increased yields. Over the past 4 years, SabrEx™ for Wheat and Cereals has averaged 5.3 bu/a over untreated crops. Because SabrEx™ for Wheat and Cereals produces a larger root system and improves nitrogen efficiency, the treated crop improves topsoil tilth and nitrogen scavenging. SabrEx™ for Wheat and Cereals PB is a planter box treatment that can be added just before planting at the planter box. It consists of a talc/graphite formulation as the carrier for the Trichoderma. Add 1.0 oz. (by weight) of SabrEx™ for Wheat and Cereals PB for every 50 lbs. of seed added to your planter. One (1) measuring scoop, provided, treats approximately 60 lbs of wheat seed. Make sure to mix the SabrEx™ for Wheat and Cereals PB with the seed thoroughly. It should be noted: The talc/graphite formulation also helps to lubricate your planter equipment and also helps provide seed flowability. 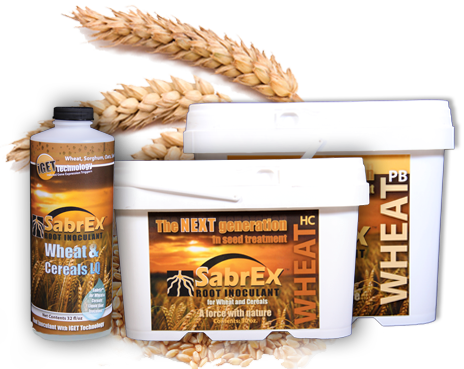 SabrEx™ for Wheat and Cereals PB will not replace the talc or graphite that you’ve been using, however it will complement your treatment. Refer to the SabrEx™ for Wheat and Cereal PB label for specific rates and directions for use. SabrEx™ for Wheat and Cereals HC is a high concentrate formulation specifically formulated for commercial seed treaters and seed companies. It has a low application rate of 0.25 oz. per 100 lbs. of seed. 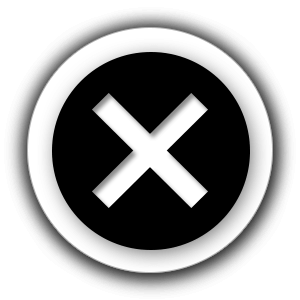 Once on the seed, SabrEx™ for Wheat and Cereals HC will not expire for two planting seasons. Applying SabrEx™ for Wheat and Cereals HC to the seed is a huge convenience to the grower. The farmer will simply add the seed to the planter and plant as usual. Refer to the SabrEx™ for Wheat and Cereal HC label for specific rates and directions for use. SabrEx LQ is a liquid high concentrate formulation for commercial treaters only. It has a low application rate of .25 oz./100 lbs. of seed. One 32 oz. jug will treat 256 units of wheat. There are 8 jugs/case that will treat 2048 units of seed. Once on the seed, SabrEx™ for Wheat and Cereals LQ will not expire for two planting seasons. Applying SabrEx™ for Wheat and Cereals LQ to the seed is a convenience to the grower. Refer to the SabrEx™ for Wheat and Cereal LQ label for specific rates and directions for use.